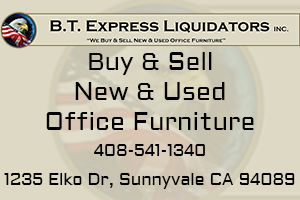 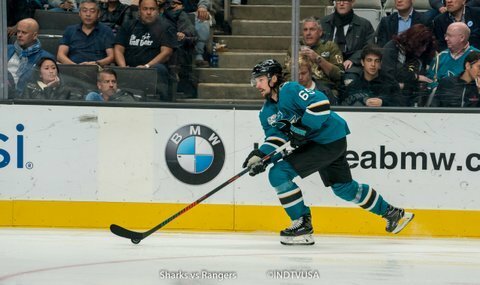 Brent Burns opened up the scoring for the San Jose Sharks. 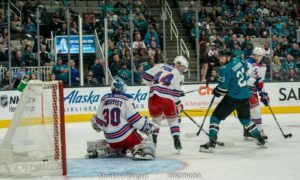 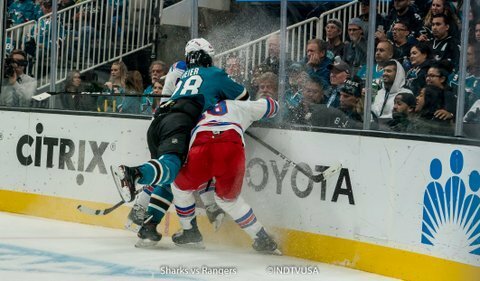 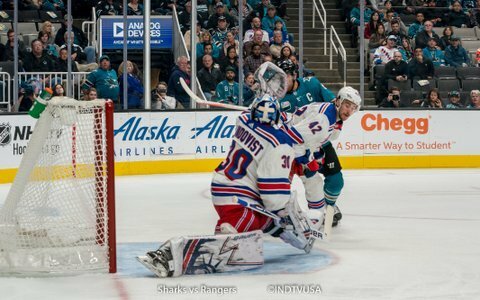 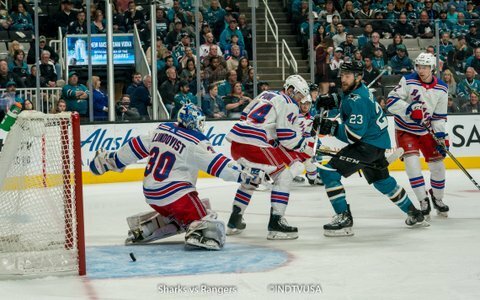 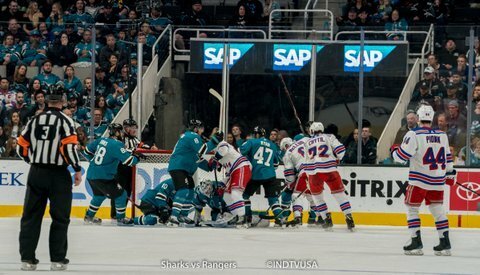 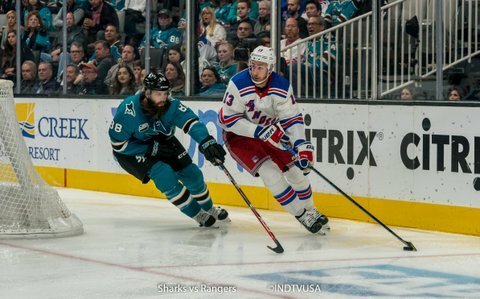 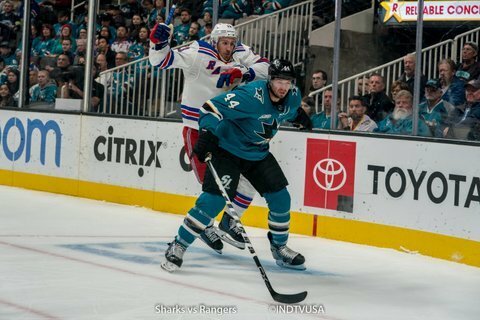 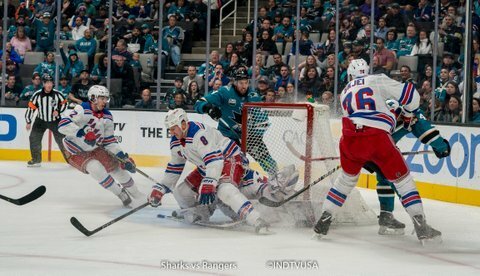 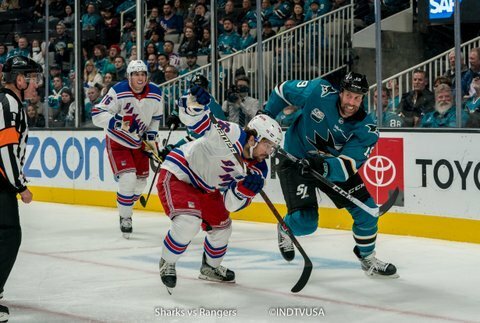 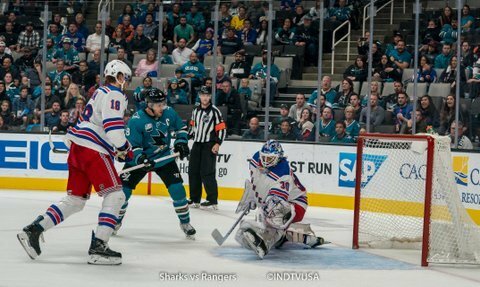 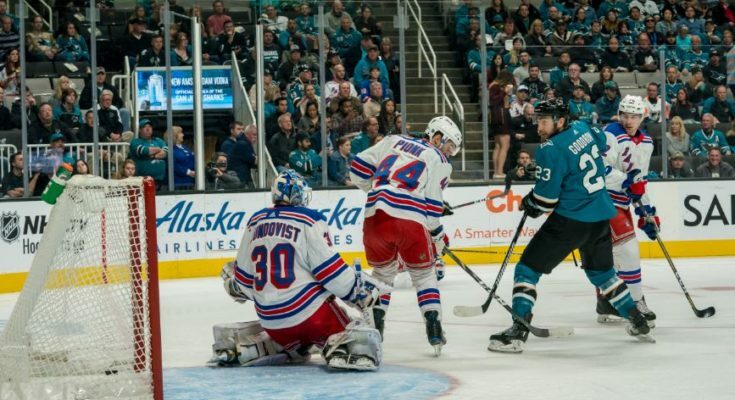 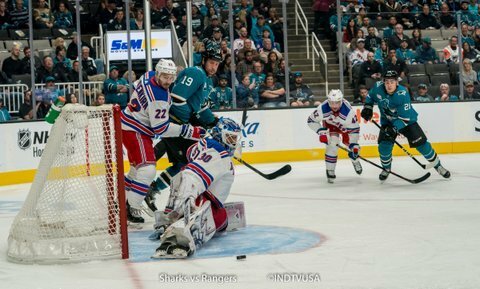 Just three minutes into the game, Burns took a hard shot from the blue line that found the back of the Rangers’ net and put the Sharks on a 1-0 lead. 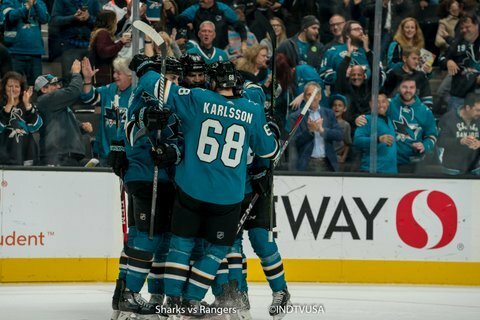 The lead did not last long. 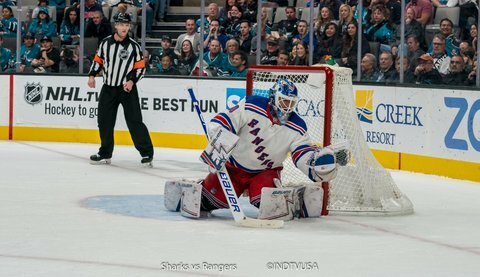 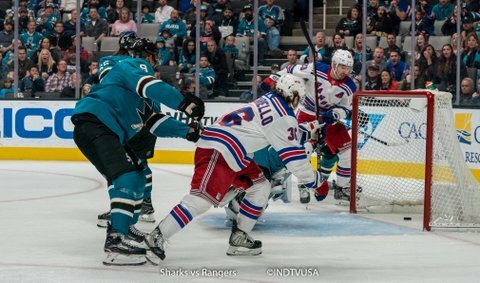 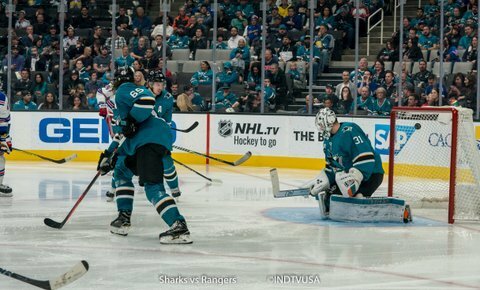 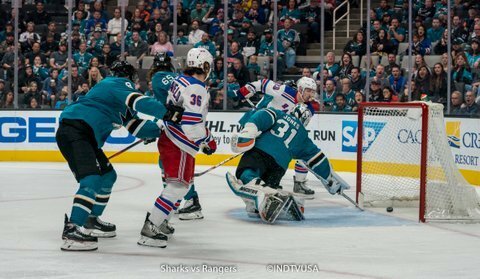 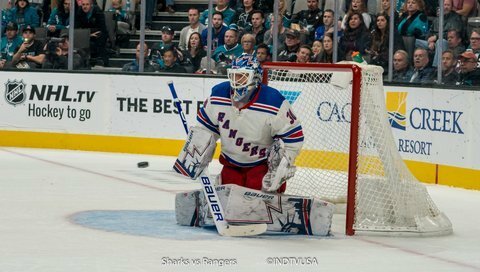 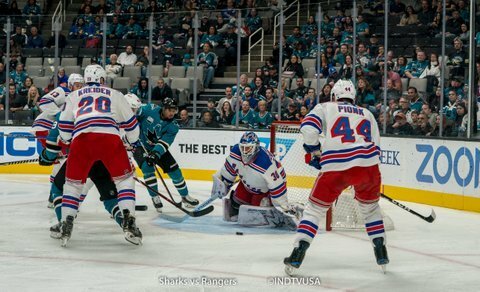 Just a minute later with the Sharks defenders mixed up on the sides, Mats Zuccarello got a shot through the screen past goalie Martin Jones into the net and tied the game at one. 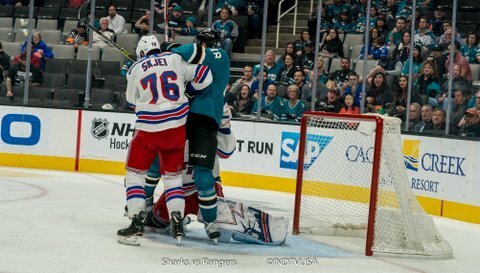 A minute into the third period, one timed shot from Chris Kreider from far left side of the circle, put the Rangers on a 2-1 lead. 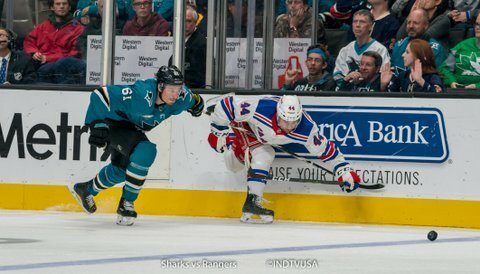 Halfway through the period, the Sharks got a two on one breakaway with Timo Meier on the right and Melker Karlsson on the left. 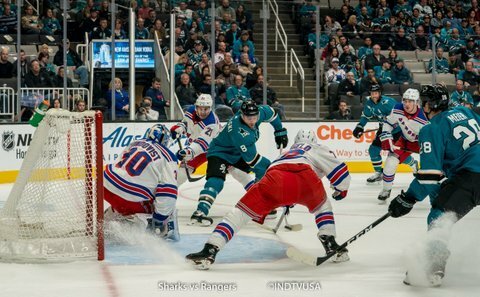 Meier chose to shoot from low in the right circle and scored to tie the game at 2. 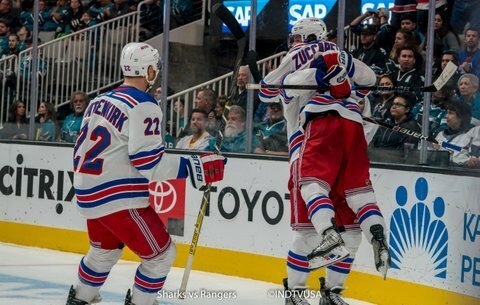 Again the tie didn’t last long as Kreider scored his second goal of the night from right of Jones with the net wide open and gave the Rangers 3-2 lead. 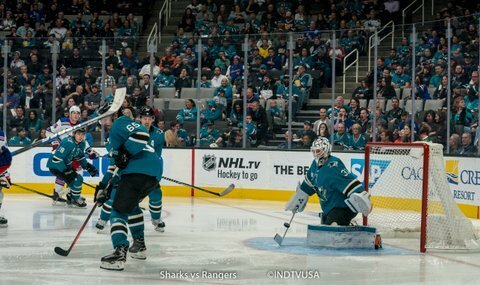 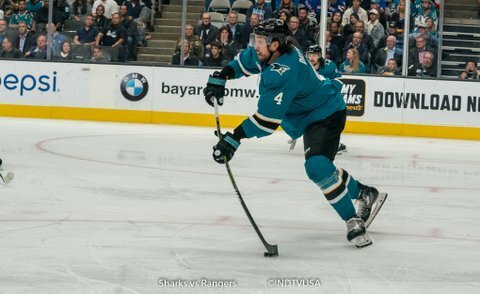 Just when you thought the game was over with 1.5 seconds left, Logan Couture passed the puck from behind the net on the left of the goalie to Tomas Hertl. 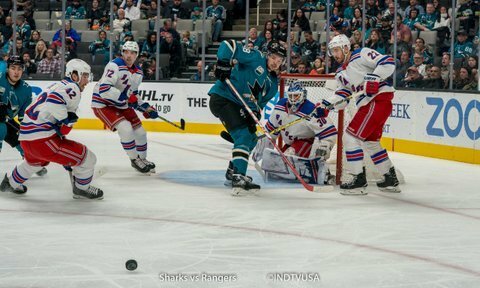 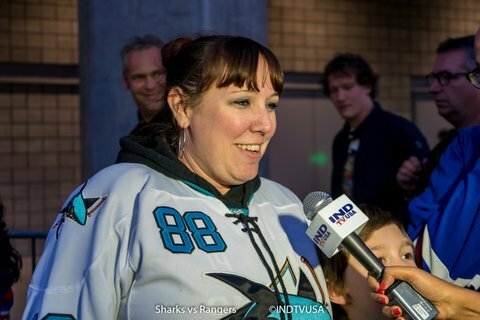 Hertl tied the game at 3 and the game went into overtime. 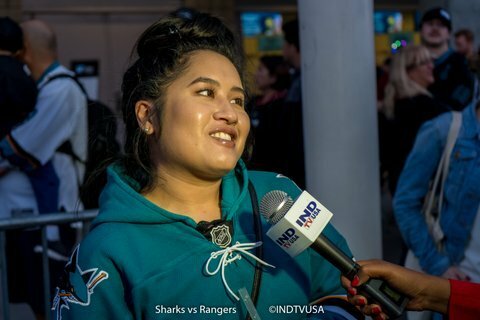 Sharks lost the game in a shootout. 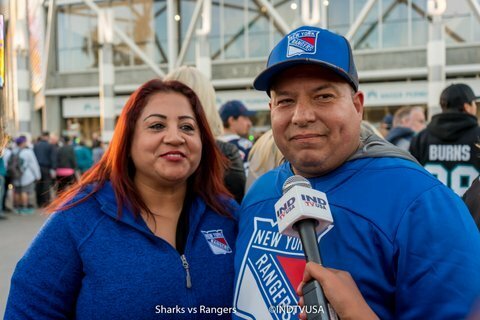 hits(28-14), blocked shots(16-15) and giveaways (7-6). 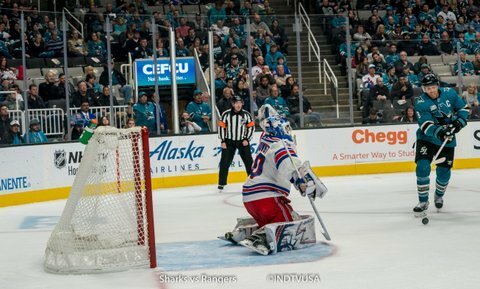 Both teams tied in takeaways at 4. 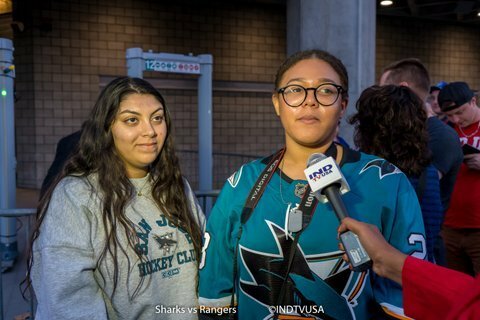 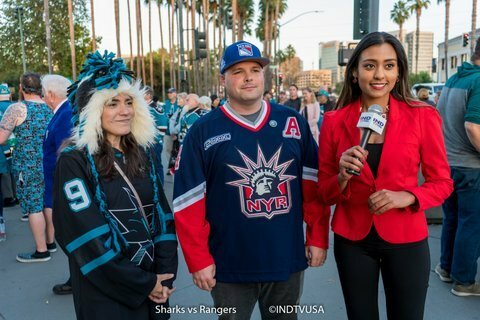 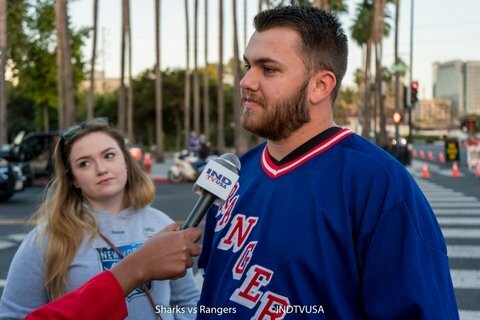 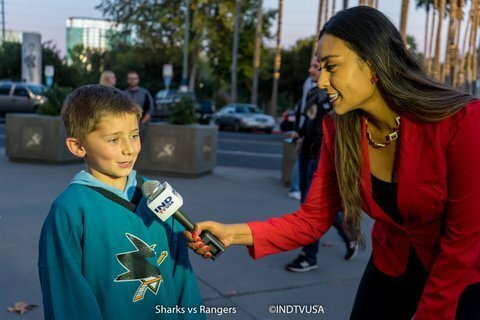 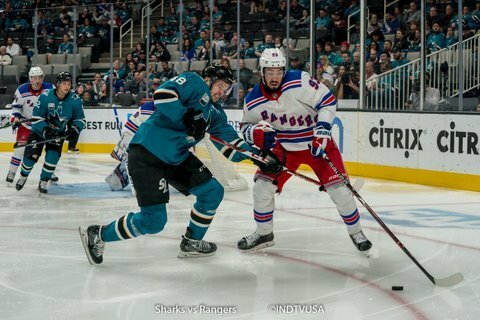 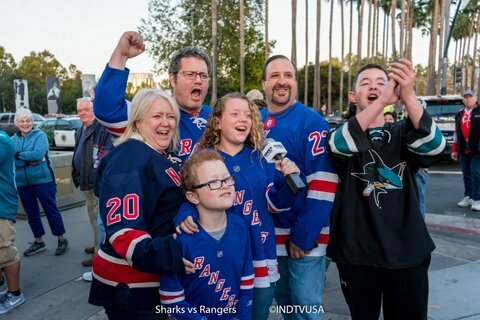 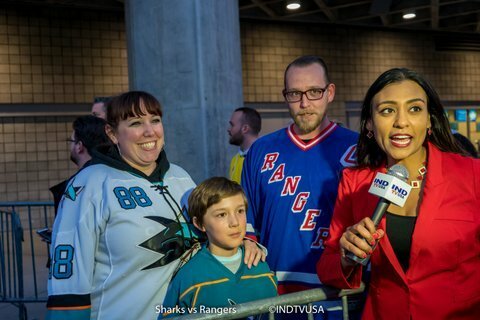 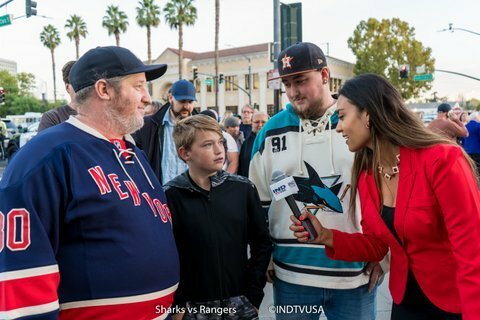 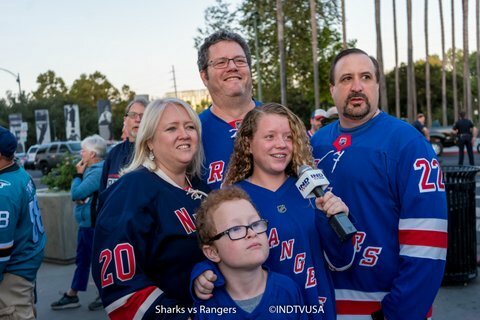 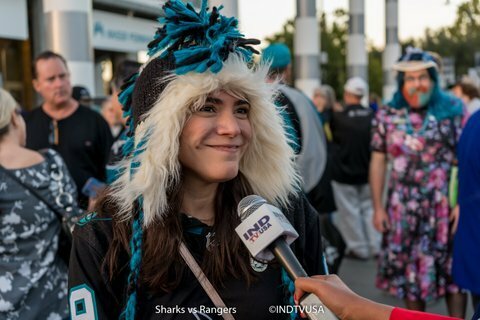 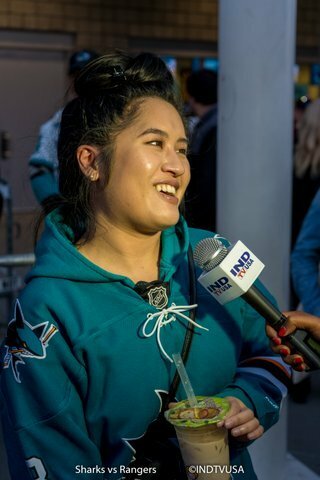 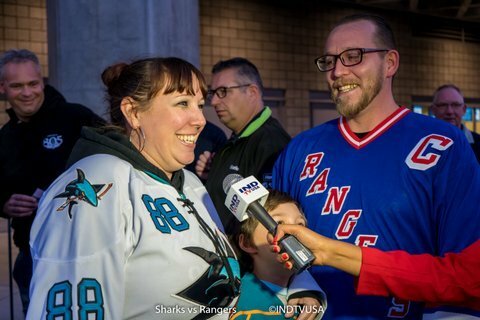 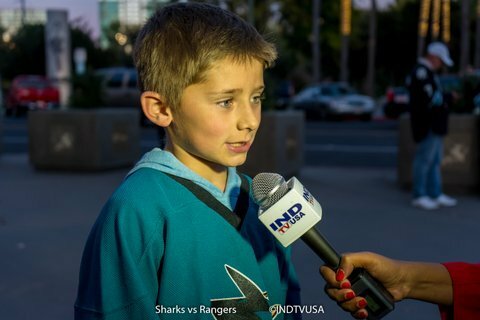 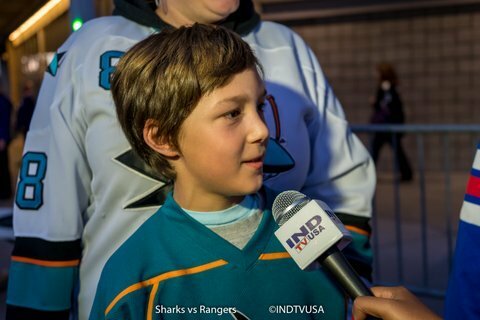 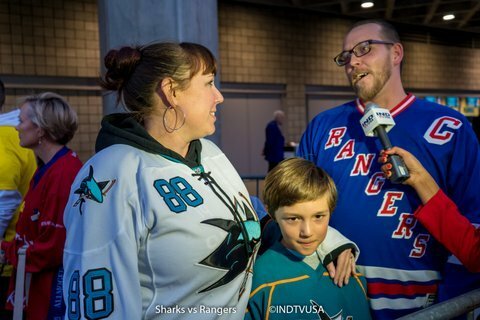 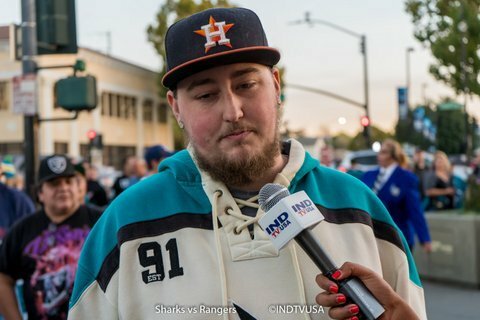 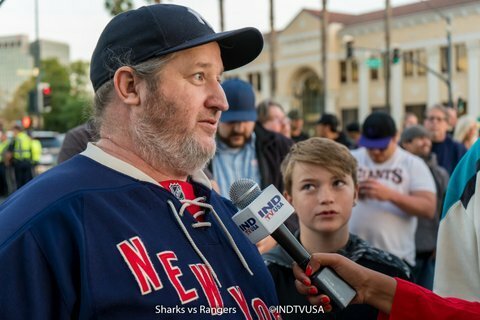 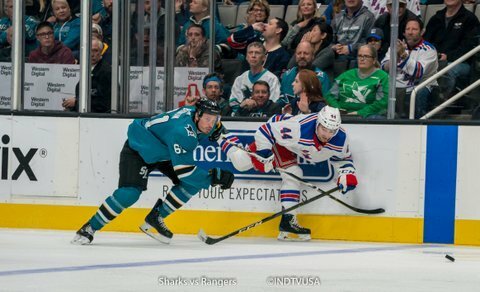 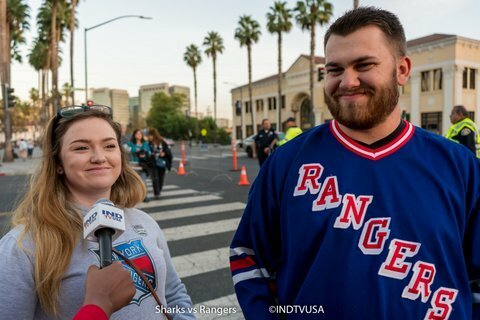 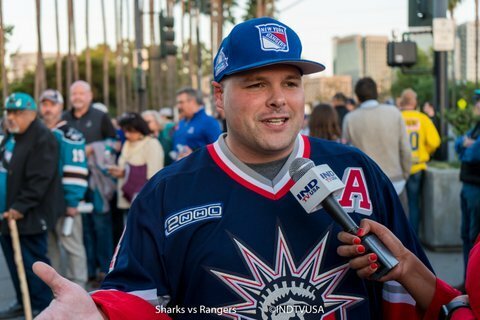 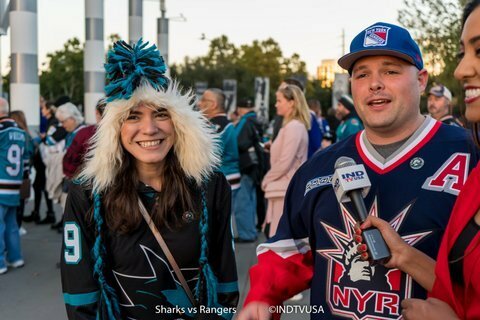 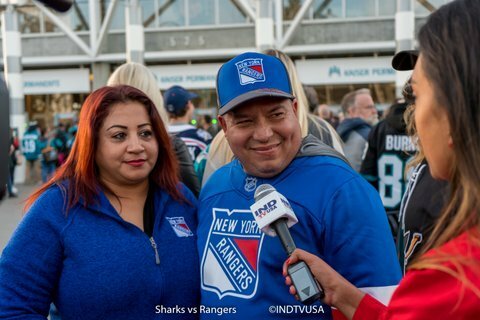 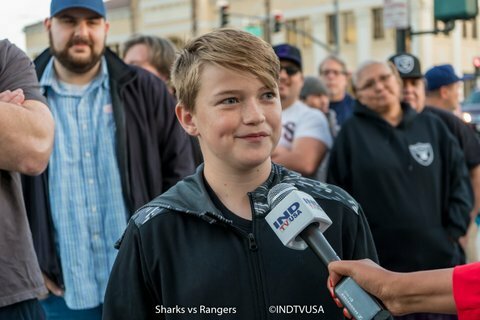 Next Sharks home game is this Thursday 11/1/18 against Columbus Blue Jackets.